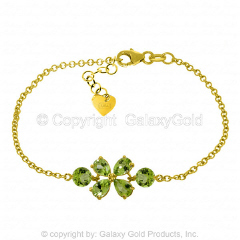 A 14 karat Bracelet styled with colorful flowers featuring Natural Peridots. This piece truly captures Spring! Mailing Services How long? How much? A division of Galaxy Gold Products Inc.